Cheltenham Festival both epitomises and encompasses everything that Jump racing stands for. The occasion provides an edge-of-the-seat atmosphere that will make your heart race and the hairs on the back of your neck stand up as the finest jockeys, horses, owners and trainers battle it out for the highest honours and over £4.1 million prize money each year. The prize money is second in the world only to the Grand National. Racing in the Cheltenham area goes as far back as 1815, when the first recorded flat racing meeting took place on Nottingham Hill. Now, it is the annual celebration of the National Hunt, something that barely exists anywhere but in the UK and Ireland. Over 260,000 people pass through the Festival gates over the course of four days, with the Gold Cup day taking place on the very last where the maximum capacity stands at a staggering 68,000. Many of the best British and Irish trained horses race in Cheltenham on several Grade I races including the Gold Cup, the Champion Hurdle, the Queen Mother Champion Chase and the World Hurdle. Hundreds of millions of pounds are bet during the course of the week and those with a lot at stake are those who provide the overwhelming atmosphere that Cheltenham is well-known for, most notably the “Cheltenham roar” generated by the crowd at the start of the first race of the festival. The Festival has been the scene of some of racing’s biggest gambles not to mention the horse names that seem to get more charismatic each year. In the past, Cheltenham has seen hoards of colourful cavalry with names such as “May the Horse Be With You”, “Passing Wind” and even “Hairy Potter”. 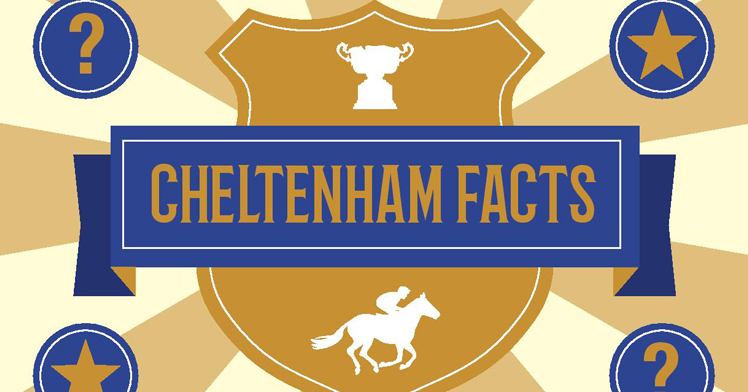 Take a look below where we’ve compiled an infographic of some of the best, and funniest, Cheltenham facts.